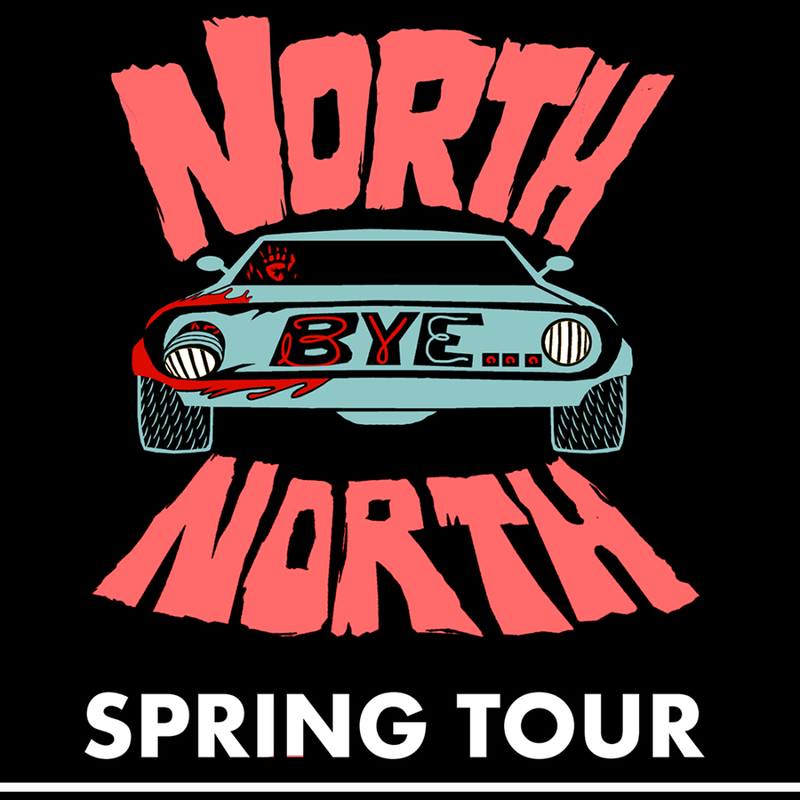 Hailing from the land of brutal winters and deep dish pizza, North by North has developed their own brand of infectious, spastic yet finely-honed rock and roll. They seamlessly toe the line between 3 minute garage pop anthems and your dad’s favorite “prog-rock deep cuts” cassette tape, with plenty of hooks to spare. North by North began in Fall of 2011 in Chicago, IL. Originally a drum and guitar blues-punk duo, Nate Girard and Kendra Blank spent the winter of 2011-2012 in a converted warehouse writing material that would later be rearranged around their current lineup and released as their debut, double LP, “Something Wicked,” almost 3 years later. Bringing on various members to fill out behind the drums and shifting Kendra’s role to keyboardist allowed North by North to delve into more intricate songwriting to couple with the raw energy of their previous incarnation. Their sound has been crafted to feature the juxtaposition of infectious melodies, narrative lyrics and powerful live instrumentation, all of which have been lauded by audiences and critics throughout the U.S.